The bite for all species on Norfork Lake has been outstanding for the last week. 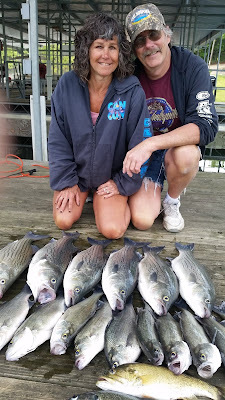 The lake has finally stabilized, the weather has stabilized, the threadfin shad are spawning and the surface water temperature has reached the 70's. Perfect fishing conditions. 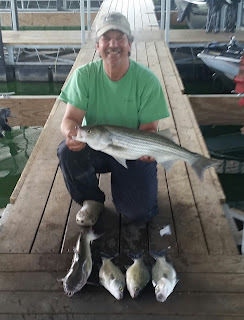 Striped bass, hybrid bass and white bass fishing has been very good over the last 7 days. Currently the best bite has been from the start of dawn until the sun gets above the tree line. The same holds true for the evening bite which is just prior to sunset until it becomes dark. With the shad spawn ongoing, using live bait has been excellent. I have mainly been using free swimming shad. 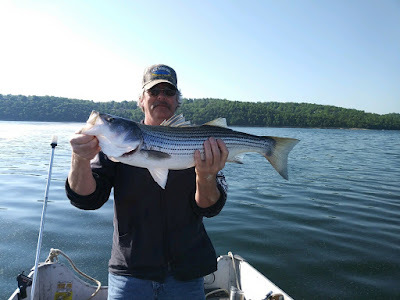 I either pitch the bait up close to the shore and let it swim or I have been slowly moving with a free swimming bait behind the boat while still staying in 20 feet or less of water. Main lake points that have a lot of sunken brush seem to be holding the most fish. There has been good topwater action for these species throughout the week. 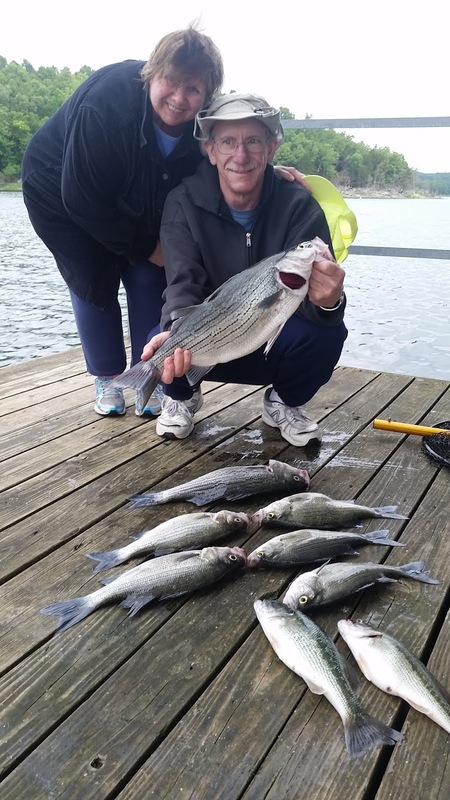 It may not be consistent in a certain location, but the stripers are coming up somewhere on the lake in the early morning and late in the day. Artificial baits that are working with my old standby method of walking the dog, are topwater baits, paddle tail swimbaits, flukes and blade type baits. The largemouth, smallmouth and spotted bass bite has also been excellent. The shad spawn, as well as their own spawn has been ongoing. The largemouth and spotted bass are inside of the sunken shoreline brush or just on the outside edge of the brush in the same locations as the striped and hybrid bass. Live bait is working excellent. Artificial baits that are producing some nice fish are a topwater bait worked on top of the brush, but one of the best bites is with a fluke type bait. Cast your fluke inside of the brush and just give it little twitches and watch the bass come up and hammer the bait. Plastics, such as a lizard with no weight or very little weight are also producing. A good color at this time is a dark green with some flakes in it. Crappie fishing has also been good. Most of this species have spawned, but there are still a few that are full of eggs. A great place to catch crappie in the middle of the day is under a covered dock that has some sort of underwater cover. 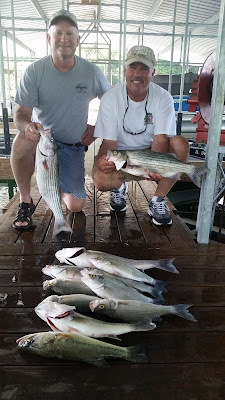 Live minnows are working the best, but small plastic jigs are also producing some nice fish. 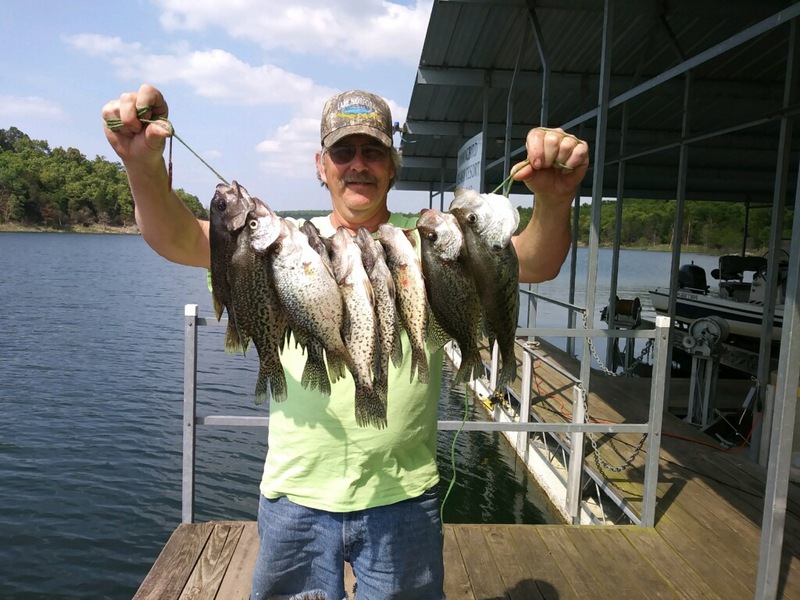 The crappie are also moving back to the brush. Look for brush in 20 - 25 feet of water and there will be fish. Norfork Lake has finally stabilized and is actually falling slightly with 2 generators being run for approximately half of the day. The current level is 565.53. The surface water temperature has risen to the mid 70's and if the high daytime temperature continues, the water temperature will continue to rise. Currently our air temperatures have been in the upper 80's to maybe the low 90's during the day and the mid to upper 60's at night. The water is clear for most of the lake with a slight stain in some of the creeks and coves.